Computec is pleased to announce that it became a ShoreTel Champion Level Partner for Japan from April 2017, and from September 2017 is now an Asia-wide Champion Level Partner. With these new capabilities, Computec will be able to implement, support & maintain ShoreTel systems in Japan, Korea, China, Hong Kong, Taiwan, Singapore & Malaysia. Computec Engineering announced today they will begin selling and delivering ShoreTel® unified communications solutions as a new Champion Level Partner. 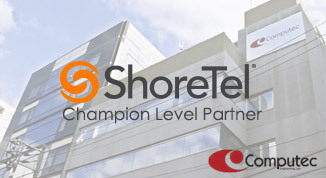 ShoreTel, a leading provider of communication solutions that make interactions simple, has designed its Champion Partner Program to strengthen the relationship between ShoreTel and its partners to provide end-customers with brilliantly simple unified communications (UC) solutions. The program’s goal is to advance and grow both companies’ market share in the UC industry, while ensuring every customer continues to be delighted with their ShoreTel experience. “Computec has been implementing telephony and unified communication systems for our clients for more than 20 years and we were looking to expand our product offering. Many of our current IT Support clients asked if Computec could help support and implement Shortel’s products and systems in Japan and Asia for them, so we took a look at the ShoreTel offering and we were really impressed with Shortel’s technology and ShoreTel’s slogan: ShoreTel was built by people who believed in finding “a better way.” This really was true, said John Lemkuil, President of Computec Engineering, so Computec partnering with Shortel was an easy decision. As Computec has a very strong and highly certified team of telecoms and unified communications engineers, Computec quickly had their team focus on Shortel products and now Computec has the largest number of certified ShoreTel engineers in Japan. 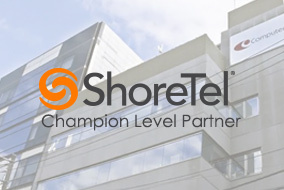 As our Japan clients have been really happy with the ShoreTel offering, we decide to work with ShoreTel throughout Asia so we have enhanced our Asian partnership with ShoreTel to become a ShoreTel Champion Level Partner in all our offices in Asia from September 2017. We now be able to design, implement & support ShoreTel systems in Japan, Korea, China, Hong Kong, Taiwan, Singapore and Malaysia. This broad coverage over Asia will allow us to work with our global clients to give them one point of contact throughout the region which will help streamline design & implementations plus give our clients a single support contact too.